Richard Garber, the renowned author as well as associate professor involved with the College of Architecture and Design at the New Jersey Institute of Technology, has written an exclusive e-book for BIM professionals alias “In BIM Design: Realizing the Creative Potential of Building Information Modeling”. 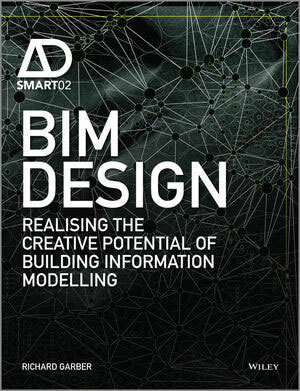 The book also explains how BIM with its productive and collaborative features is outlining the everyday design operations as well as expanding design potentiality. The readers can get the examples of definite creative applications of information modeling at the operational stage, as well as the innovative expansion of parametric geometries and generative design and the assessment of environmental performance and the simulation and scheduling of construction/fabrication processes. Richard also comes up with projects that show the creative uses of BIM at diversified levels involving the projects accomplished by some leading firms worldwide. The list includes SHoP Architects and Construction (New York), Morphosis (Los Angeles), Populous (London), GRO Architects (New York), Resier + Umemoto (New York), Gensler (Shanghai) and UN Studio (Amsterdam). Richard also analyzes BIM's pragmatic efficiencies like the conflict resolution of building systems and the formation of bills of materials for costing practices. For getting more information, visit here.